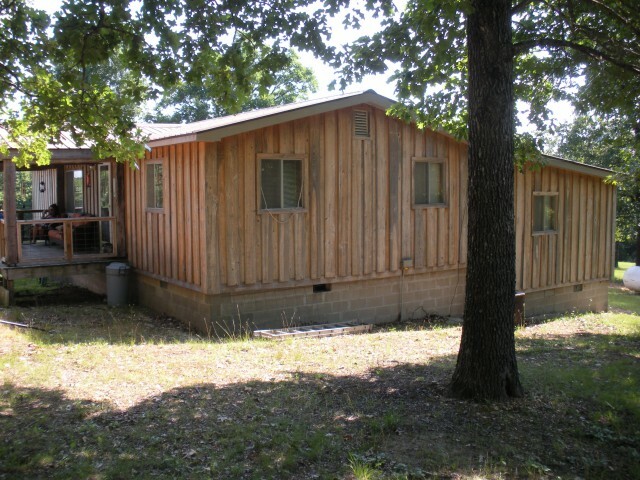 #2404-RUSTIC RANCH CABIN ON 74 ACRES+/- NEAR RAVENDEN SPRING/WIRTH AREA-3 BEDROOM 2 BATH HOME IN REMOTE AREA IN THE HILLS OF THE OZARKS. UPDATED KITCHEN COMPLETE WITH STAINLESS STEEL APPLIANCES AND DOUBLE OVENS-SPLIT BEDROOMS .MASTER SUITE IS PRIVATE WITH WHIRLPOOL TUB. REMOTE LIVING WITH LUXURIES AND CONVENIENCES. CENTRAL HEAT AND AIR OR NATURAL HEATING WITH 2 WOOD BURNING STOVES. THERE IS ALSO PROPANE BACKUP HEAT AVAILABLE. LARGE COVERED FRONT PORCH AND LARGE BACK DECK THAT OVERLOOKS LAND AND SMALL POND. HUGE 75X40 WORKSHOP. 20X30 TRACTOR SHED. PERFECT FOR HUNTING, RELAXING, EXPLORING OR JUST ENJOYING THE STARS BY THE FIRE PIT. CONVENIENT TO SPIRNG RIVER, LAKES AND MOUNTAINS. ADDITIONAL 40 WOODED ACRES AVAILABLE TO PURCHASE ACROSS COUNTY RD. FOR PRIVATE TOUR & DETAILS, CONTACT LISTING BROKER TERRY WEST 870-919-4235.